Ever wonder what the different coffee bean certifications mean on any given bag of coffee? 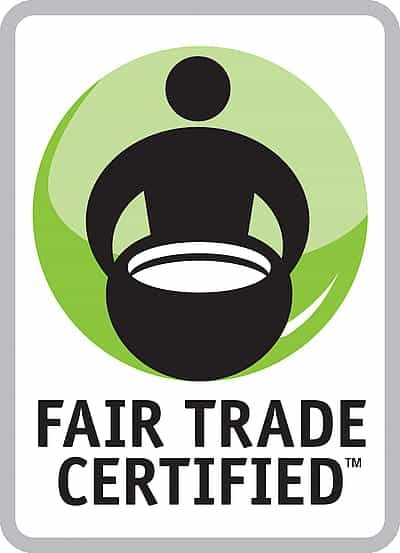 When browsing for your next bag of Joe, you may see labels that read Fair Trade Certified. Or, Rainforest Alliance. Well, there’s meaning behind those labels and we would like to explain the differences between them so that you can be aware of the implications. The first certification was issued in 1967 and eventually developed into an internationally recognized system with production throughout the world. 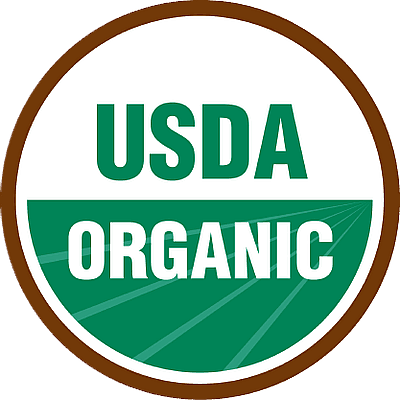 The USDA’s standards must be met and upheld when applying for this certification. In order to be verified for this seal, there must be no use of prohibited substances on the land that the coffee is grown on for at least three years. So, this can be a lengthy process if it has failed the first time around. These substances include synthetic pesticides, herbicides, and fertilizers. Other certification requirements include a buffer between the coffee and any other crop not grown organically, a plan that demonstrates methods that prevent soil erosion, and other sustainable agricultural criteria. Farms and areas that grow coffee must be in compliance with these guidelines in order to be certified. Failure to do so will mean reapplication and more waiting time. There are also implications for coffee that is purchased under the Fair Trade contract. More information can be found later in this post about Fair Trade. If organic coffee is purchased under that certification, the producing cooperative receives a price premium of 15 cents per pound. If not within a Fair Trade contract, producers can use the certification to negotiate a better price for their coffee. Fair Trade certified cooperative vendors receive a minimum price per pound, with an additional premium if the coffee is also certified organic. In addition, producers receive the Fair trade Premium above the purchase price that farmers democratically invest according to their priorities. The term Fair Trade is usually used when discussing the concern of alleviating poverty through greater equity in international trade. 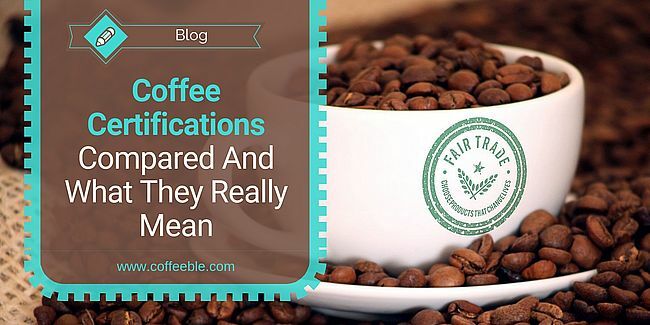 There are many products, outside of coffee, that can be certified as “fair trade”. There is one, main fair trade organization and standard-setter which is Fair Trade International (FLO). The Fair Trade label is exclusively licensed by Fair Trade America in the U.S. Products bearing this label meet the international standard. Unfortunately, certification is not available to individually-owned farms or estate, or those that rely heavily on hired labor. It is only available to democratically-organized cooperatives or associations of small producers. A little history behind this certification -- The FLO is a German-based organization that started in the 1970’s. It collaborates with 19 labeling initiatives, including TransFair USA, and three producer networks including Latin America, Asia and Africa. TransFair USA has been administering the Fair Trade Certification since 1998. 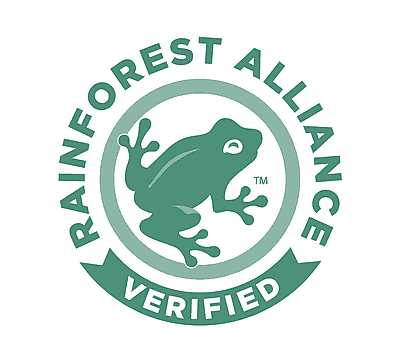 The Rain Forest Alliance certification is an interesting one! The market focus of this label is global but there is a special emphasis placed on N. America, Europe, Japan, and Australia. This label began in 1992 so it is fairly recent. It was started by the Rainforest Alliance as well as the coalition of Latin American NGO’s, and the Sustainable Agriculture Network (SAN). The first farm to become certified was in 1996. Similar to other certifications, in order to attain the Rainforest Alliance Certification, farms must meet comprehensive standards covering all aspects of production, the protection of the environment, and the rights and welfare of farm families and their local communities. The overall goal is to have an impact on sustainable farm management in the most holistic sense - social, environmental, economic, and ethical improvements are the “cornerstone of the program”. Rainforest Alliance Certified coffee is produced in 22 countries throughout the tropics: Brazil, Colombia, Costa Rica, Dominican Republic, Ecuador, El Salvador, Ethiopia, Guatemala, Honduras, Indonesia, and number of others. You can learn more h​​​​ere! Producers are professionals implementing good practices which enable better businesses, livelihoods and environments”. The main goal is to provide consumers that have been sourced from farm to shop shelf in a sustainable manner. 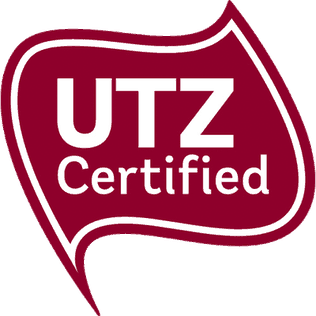 In order to become Utz Certified, suppliers must follow our Code of Conduct, which offers expert guidance on better farming methods, better conditions for farmers and care for nature. The countries of origin include: Mexico, Guatemala, Honduras, Nicaragua, Costa Rica, El Salvador, Columbia, and Bolivia. Lastly, the 4 C Common Code label began in 2003 as a public-private partnership project by the coffee industry and the German development cooperation. Its purpose is to initiate a multi-stakeholder dialogue for defining a mainstream code for conduct for sustainability. At the end of 2009, 4C announced 2009 growth of more than 150% in coffee sales. An impressive number for coffee sales. This label is designed to provide operators in the coffee marketing chain with sustainable livelihoods, with a social, environmental and economic dimension. All these labels are committed to improving and protecting the environment. By purchasing coffee that has one of these certifications, you are actively contributing to those noble efforts of biodiversity and conservation. Thanks for reading this guide! If you’d like to find out more, check out these sources. Author bio -- Shane is an avid coffee lover/addict who is always looking to find a fun tidbit of coffee info. If he’s not filling coffee bean orders at work, he’s trying to find a hiking trail to try out or is throwing the Frisbee for his dog at the park. 10 Best Instant Coffees 2018 Reviewed – Surprising Winner!